Police Commissioner Tommy Colis has resigned his post effective April 9, 2019. McCAYSVILLE, Ga. – McCaysville Police Commissioner Tommy Colis resigned his post effective April 9, 2019. 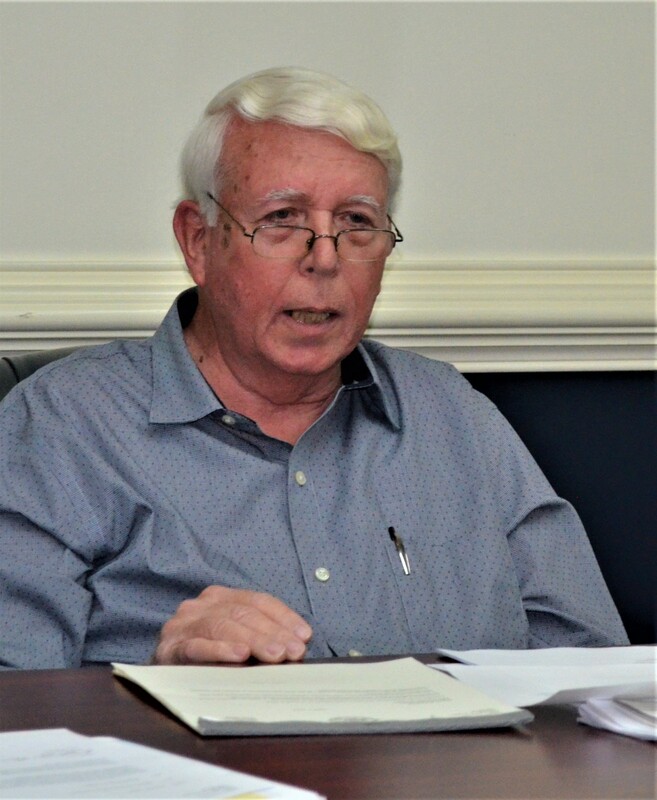 Colis, who also serves as a council member, made the announcement at the monthly City Council meeting in McCaysville. He cited he was stepping down as Commissioner due to the fact his son was being hired as a McCaysville Police Officer. 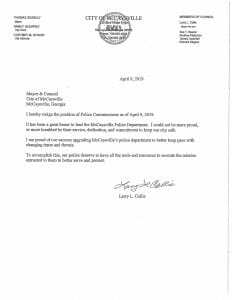 Larry Colis’ letter of resignation as McCaysville Police Commissioner. It has been a great honor to lead the McCaysville Police Department. I could not be more proud or more humble by their service and dedication and commitment to keep our city safe. 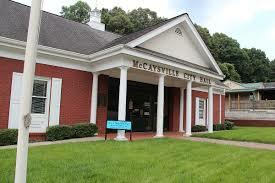 I am proud of our success upgrading McCaysville Police Department to better keep pace with change in times and threats.